After hours of coaxing without success, I gave up begging my 7 year-old sons to practice math drills on a worksheet and I headed to my iPad. I knew there must be a math app that played like a video game to keep him engaged. And wouldn’t you know it, I found it. 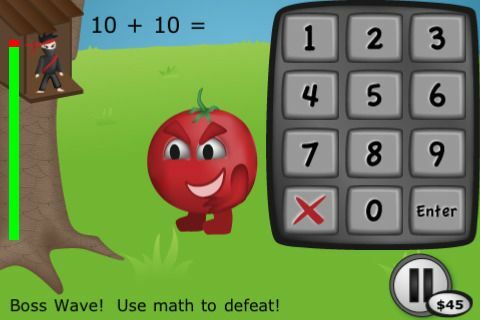 Math Ninja HD lets players choose which math skill they are practicing while defending their treehouse against invaders. If the player chooses the wrong answer, he’s shocked with 1000 volts of electricity. No, just kidding – the correct answer is displayed and the player must enter it to continue. While there is mild cartoon violence, the game is slated for kids 7 and up. Thought I’d say slightly younger math prodigies could probably handle the addition and subtraction. Purchase Math Ninja HD for iPhone, iPod touch, and iPad for $1.99 at iTunes.com. My son (in kindergarten) loves an app called Teach Me. You get coins for each correct answer and then you can use the coins to buy “stickers”. 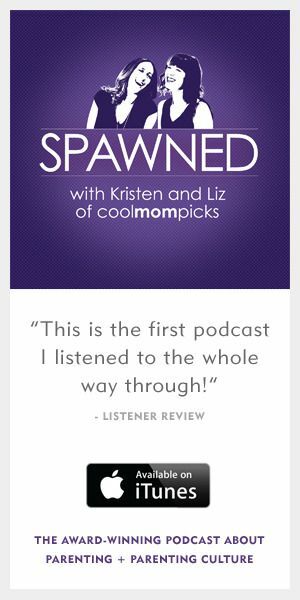 Haven’t tried the Ninja app, but I’m sure he’d like anything with Ninjas in the title!